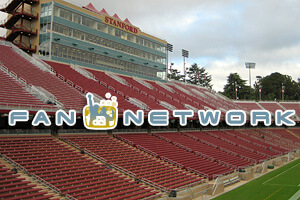 The DCI Fan Network kicks off with its first live webcast of the season Saturday, June 25 from the DCI West event in Stanford, Calif. Starting at 6:45 p.m. PT, you'll be able to watch the complete performances of some of DCI's top corps online and in real-time. The lineup includes: 6:45 San Francisco Renegades 7:02 Revolution 7:19 Santa Clara Vanguard Cadets 7:36 Blue Devils B 7:53 Blue Devils C 8:10 Intermission 8:35 Pacific Crest 8:52 Mandarins 9:09 Blue Knights 9:26 The Cadets 9:43 Phantom Regiment 10:00 Santa Clara Vanguard 10:17 Blue Devils Time approximate and subject to change. Two ways to view this webcast are available. A $14.95 pay-per-view option will give you one-time access to watch all of the performing corps in Stanford. Choose the $79 Live subscription option, or Live+DVD or Live+Blu to gain complete access to all seven 2011 webcasts, on-demand replays of select DCI Tour events, discounts on downloadable media, and more! Learn more about all Fan Network subscription levels.